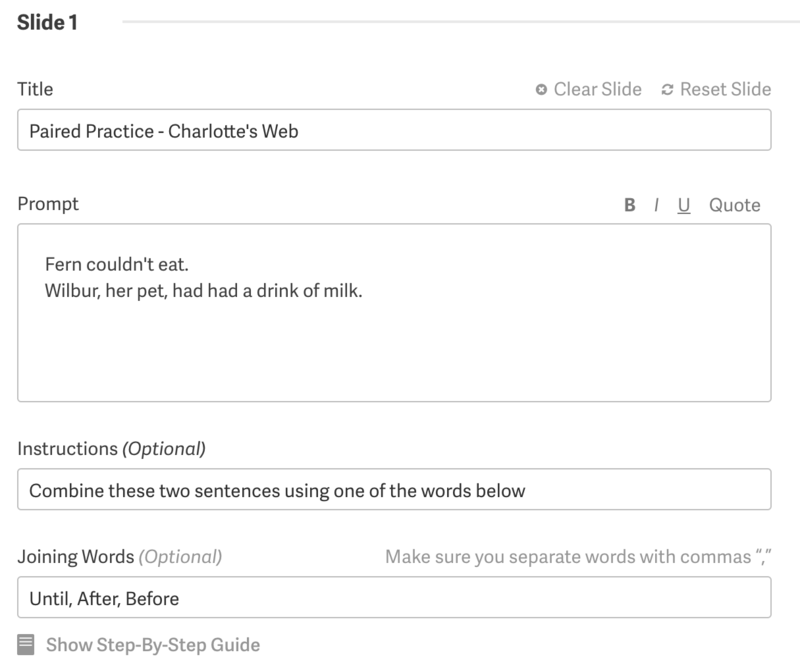 Quill has released teacher created lessons for Beta Testing. This is accessible for Beta testing teachers only. If you would like to be a beta tester, please email hello@quill.org. 2- Click on "Explore All Activities"
3- Click on "Quill Lessons"
4- From there, scroll down until you see Teacher Created Lessons. 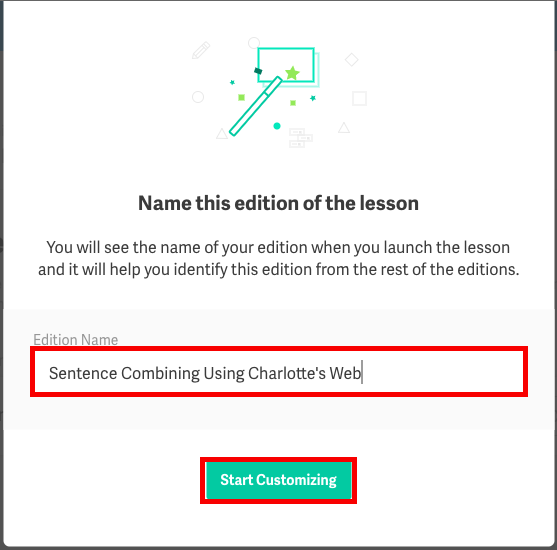 5- Select the lesson by clicking to check the box and then press "Continue". 6- One the next page, you are going to name the pack and assign it to a class. 4- On the next page, click on the "Customize" dropdown for Generic Content. 5- Click on "Make Copy"
6- Next, you need to name the edition of the lesson that you are creating. The name of the edition could be a name of a book or a goal that you would like to achieve by the end of the lesson. In this article, I am going to create a lesson with prompts from Charlotte's Web. 7- On the customization page, you can fill the empty fields with prompts. You will see a live preview of how the slides will look live as you add your prompts. 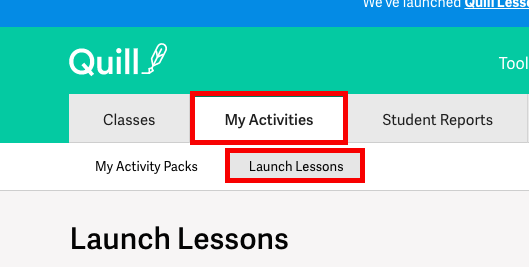 8- You can always save the changes that you are making to the lesson by clicking "Publish Edition"
1- Click on "My Activities", then click on "Launch Lessons." 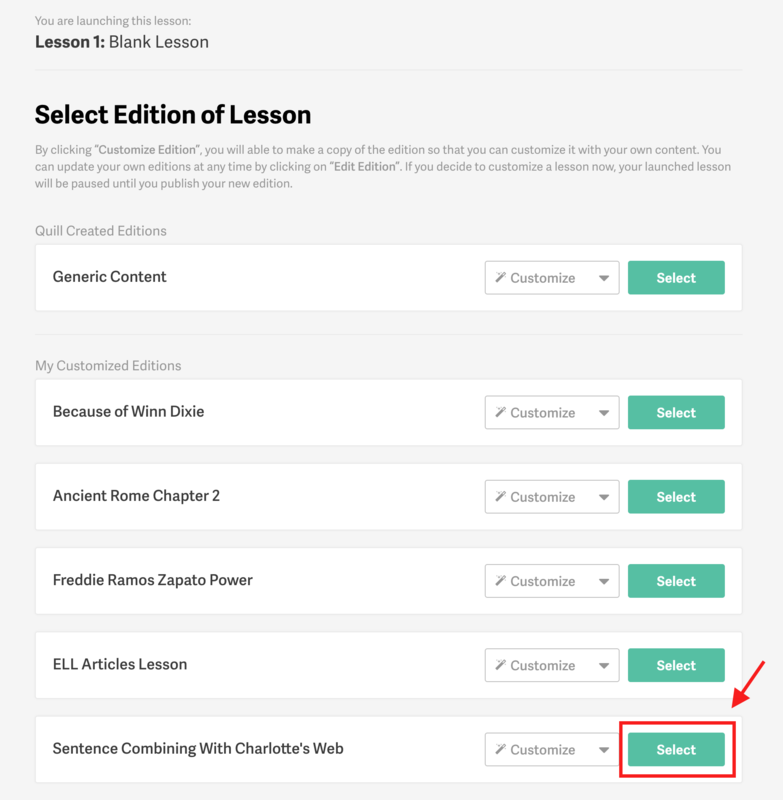 2- Scroll down until you see Teacher Created Lesson, click on "Launch Lesson"
3- On the next page select the edition that you would like to launch. 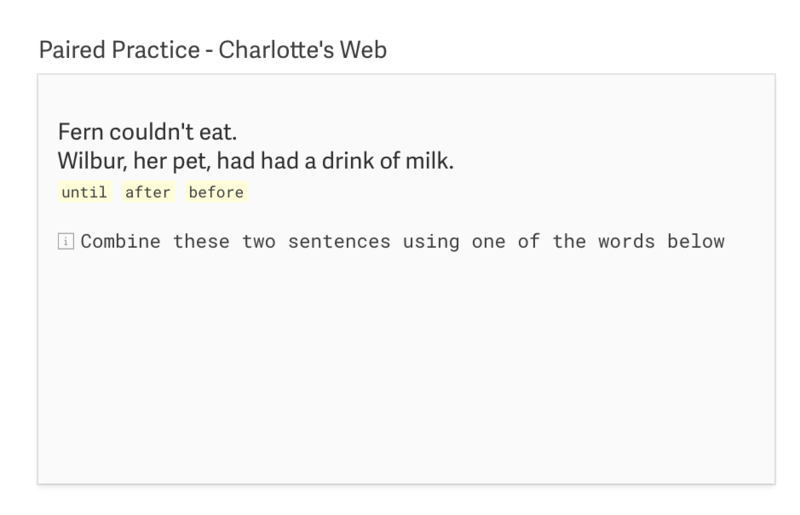 In this article, I am going to select the edition that I just created "Sentence Combining With Charlotte's Web".